Kim Kardashian, Kanye West stories are a dime a dozen and the premise of each tale is often ridiculous. The latest report about the celebrity couple is perhaps among the most entertaining, however, since it involves Donald Trump. More specifically, it involves the rapper and reality star couple supposedly naming their new baby after the current POTUS. The show of support by the controversial singer for Donald Trump has been a source of vitriol among opponents of the sitting president for some time now. Although this particular issue has died down a bit in the face of so many other ridiculous developments in the administration, it still pops up from time to time. Its latest incarnation is about how the Kim Kardashian, Kanye West baby will be named in the president’s honor, Gossip Cop reports. This new story is courtesy of NW where the publication cites a supposed insider who proceeded to make some truly ridiculous claims. 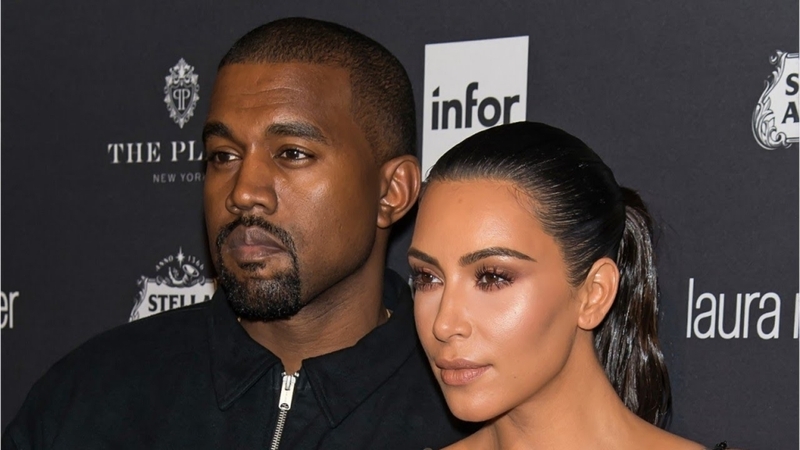 The one about the Kim Kardashian, Kanye West couple planning on naming the baby after Donald Trump is just the start. Considering just how eccentric the Kim Kardashian, Kanye West couple can be, this might not be beyond the realm of possibilities. However, the tabloid outlet’s track record does make the claim questionable more than the negative impression that the public has of Donald Trump, right now.